HMS Engadine was a 9,909 ton cargo ship laid down at the Greenock Dockyard Company, Greenock, Scotland on 16 March 1940, launched on 26 May 1941 and completed on 17 November 1941. She was originally built for the Clan Line, and named Clan Buchanan (the previous Clan Buchanan having been sunk by the German raider Pinguin on 28 April 1941). 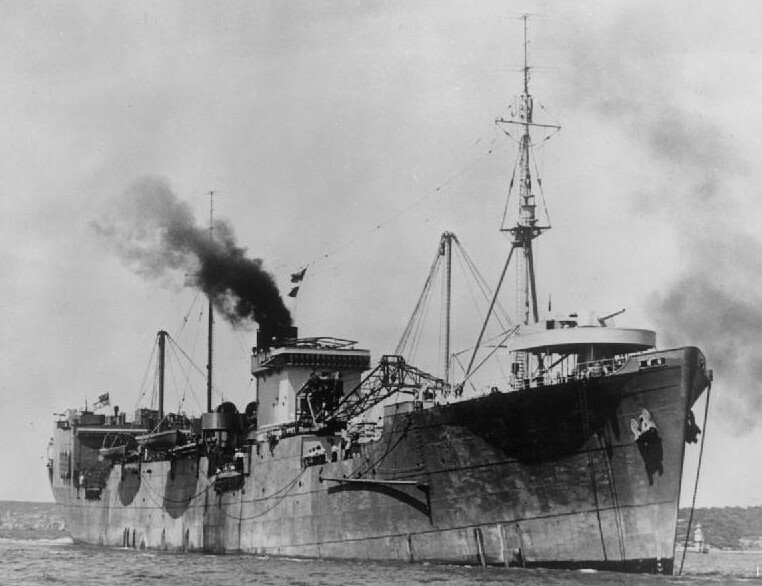 However she was taken over by the Royal Navy before completion and renamed in honour of the first HMS Engadine for use as a seaplane depot ship. She was loaned to the US Navy from November 1942 until July 1943. At the end of the war, she was sold back to the Clan Line in 1946 and reverted to her original name. The ship was eventually scrapped at Cartagena, Spain in November 1962. 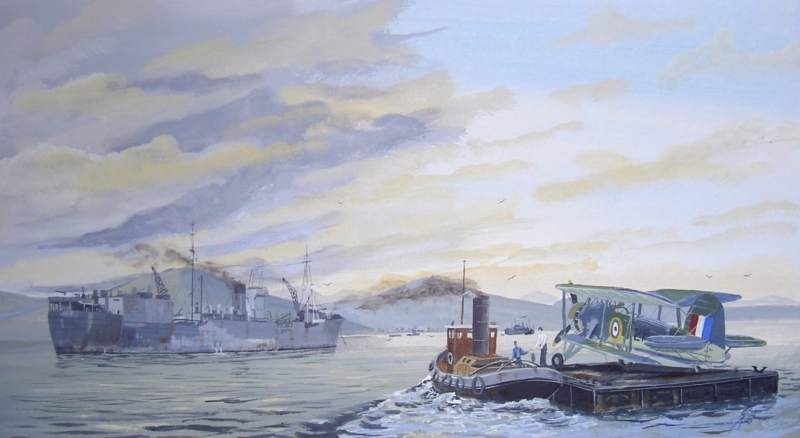 HMS Engadine aircraft transport, loading replacement Swordfish in the Clyde.